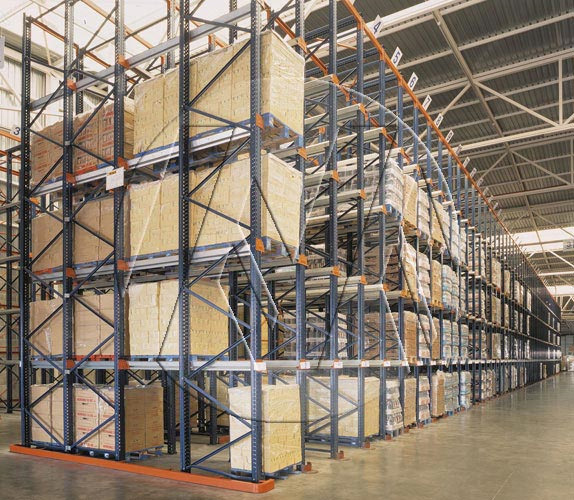 Drive-in pallet racking is ideal for like products with low levels of turnover and a high number of pallets per article type. 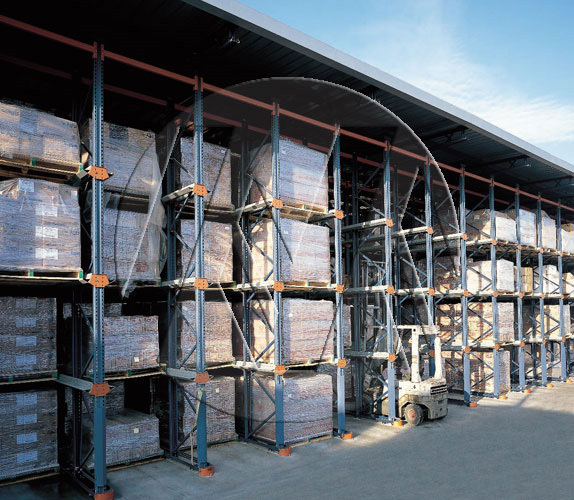 This system offers the highest use of available space in terms of both area and height. 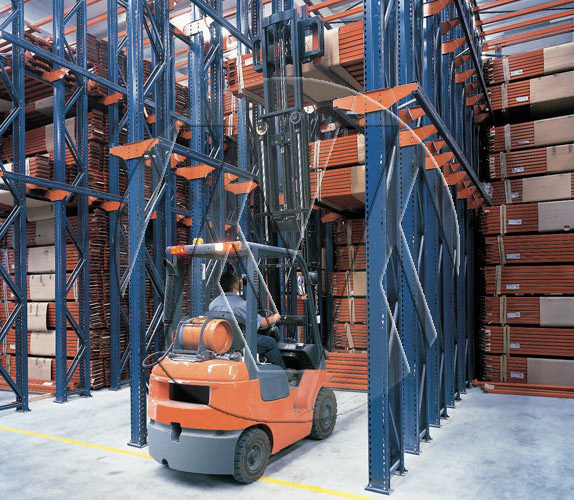 * Maximum use of available space (85%). 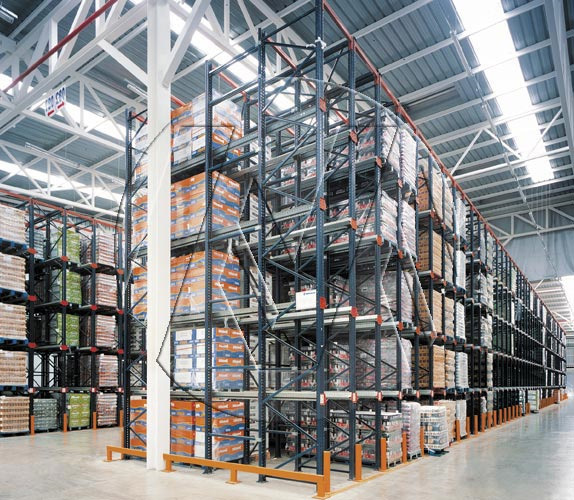 * Elimination of aisles between shelves. 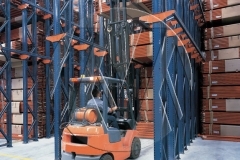 * Rigorous entrance and exit control. 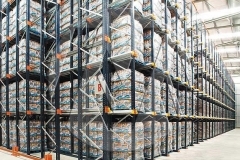 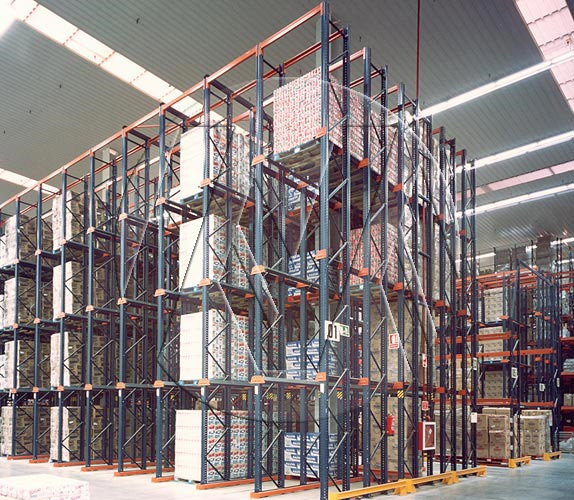 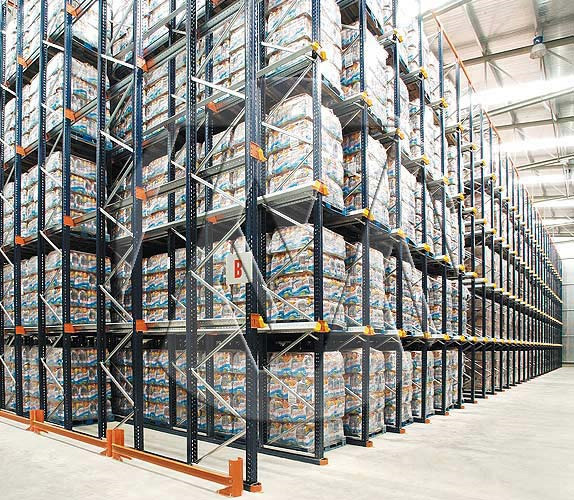 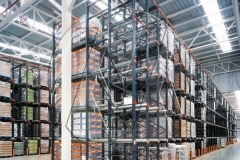 Drive-in racking can generally accommodate as many article types as there loading aisles. 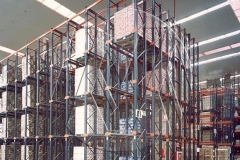 Two management systems are available: the drive-in system, with only one access aisle, and the drive-through pallet racking system, with access to the load from both sides of the rack. 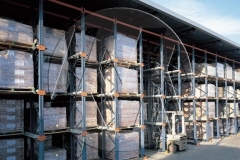 Drive-in racking can also be used in construction of rack supported buildings whose most striking feature is that they do not require the existence of a building prior to construction. 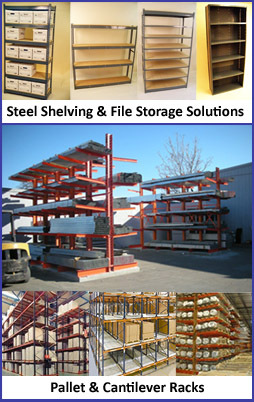 Shelving Concepts is your “count on us” source for industrial shelving in Houston, widespan shelving, rivet shelving, cantilever racks, and pallet racks. 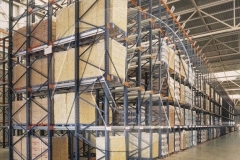 We are a storage rack stocking manufacturer and distributor in the Gulf Coast area for new pallet racks as well as wire decking for warehouse pallet racks.